A beautiful embroidered tablet wallet with the initials of your choice. This beautful embroidered accessory pouch is sized to fit a mini i-pad or similar sized tablet such as a kindle and is the perfect palce to keep it safe whilst out and about or travelling. 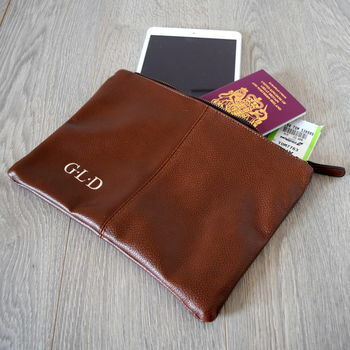 The personalised faux leather tablet case is also a great place to store important documents, such as your passport, travel tickets, insurance documets etc. 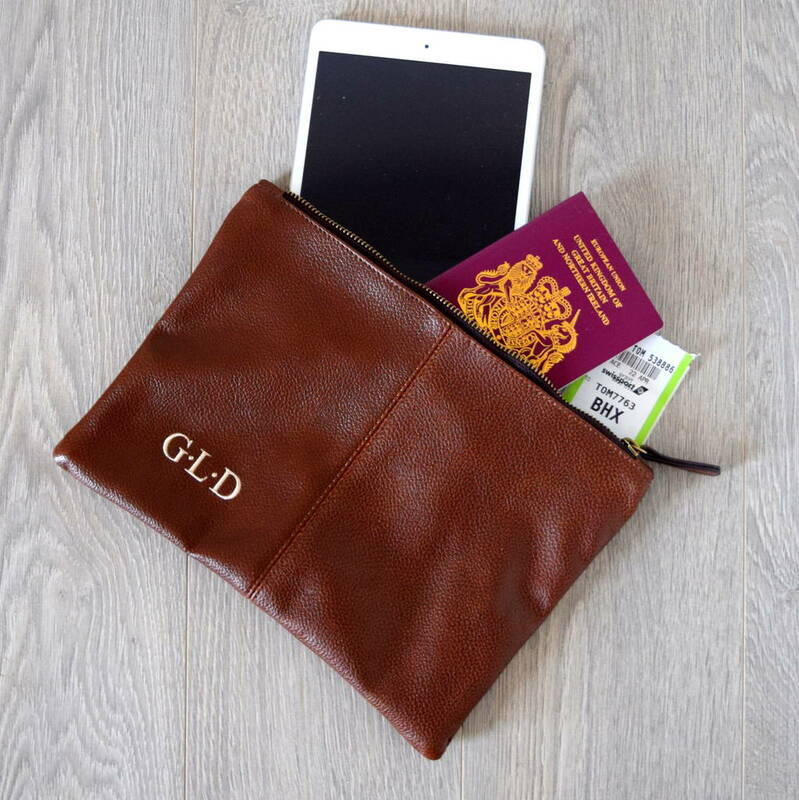 The personalised wallet can be used to keep all your holiday essentials in one place making it a great travel gift for a frequent traveller. The travel wallet or tablet case can be filled with all travel essentials, such as passports, tickets, insurance documents, sunglasses and toiletries. The personalised pouch comes in tan or black leather effect and can be embroidered with the initials of your choice in a contrasting embroidery thread. Can be personalised with the intials of your choice. This product is dispatched to you by The Alphabet Gift Shop.